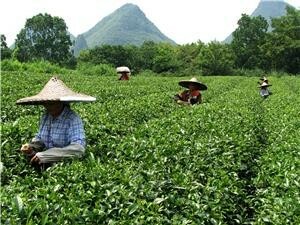 Tea is the national drink in China. In addition to its prominence in Chinese culture, tea also boasts many health benefits, making it a popular drink worldwide. There are several types of Chinese tea, which vary in degree of fermentation and processing. The main classes of Chinese tea discussed below are green tea, wulong tea, red tea, yellow tea, white tea, and scented tea. Chinese green tea is the oldest and most popular type of tea; it has been enjoyed in China for several thousand years. Green tea is made from the new shoots of the tea plant, and the tea leaves are dried and processed according to the type of tea desired. The techniques of processing green tea are sub-divided into four categories: stir-fried, roasted, sun-dried, and steamed. Traditional green tea has a pale color and a sharp, astringent flavor. 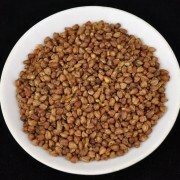 It is produced primarily in the provinces of Jiangxi, Anhui, and Zhejiang. Called Dragon Well for short, this most popular variety of green tea is produced in the mountainous region of Longjing (Dragon Well) near West Lake, Hangzhou. 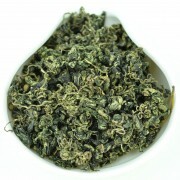 Dragon Well Tea is renowned for its emerald color, heady fragrance, and sweet, refreshing flavor. This tea is also known for its many health benefits, including anti-inflammatory and detoxification properties, digestion aid, and increased mental alertness. Red tea is the second largest category of Chinese tea. It is made from new shoots of tea leaves which are wilted, rolled, fermented, and dried. The resulting infusion yields a lovely red color and a subtle aromatic fragrance. Dianhong and Yixing are popular brands of red tea. Wulong tea, also known as blue tea, is unfermented tea with unique characteristics. Made from a blend of green and red teas, wulong tea boasts the best flavorful and aromatic qualities of both. Sometimes called “green leaves with a red edge”, wulong tea is thought to aid in fat decomposition and is widely regarded as a weight loss aid and a beauty enhancer. Wenshan Baozhong Tea and Dongding Wulong Tea are two exemplary brands of this popular tea. White tea is unfermented, uncured green tea that has been quickly dried. It is indigenous to Fuijan Province, and is lighter in color than other types of tea with a subtle, delicate flavor. White tea got its name from the tradition of poor Chinese, if they had no tea, of offering plain boiled water to guests and calling it “white tea”. Popular brands of white tea are White Peony and Silver Needle. Yellow tea is produced by allowing damp tea leaves to dry naturally. It has a distinctive aroma, similar to red tea, but its flavor is closer to green and white teas. Yellow tea is also used to describe the high-quality tea which is served to the emperor, as yellow is the traditional imperial color. Junshan Yinzhen is produced in China’s Hunan province and is the country’s most popular yellow tea. This type of tea is created by reprocessing the above varieties of tea into different tea products. Scented tea, medicinal and health teas, pressed tea, fruit tea, and instant tea and all examples of reprocessed tea. Scented tea is created by blending and aromatizing tea leaves with flowers. 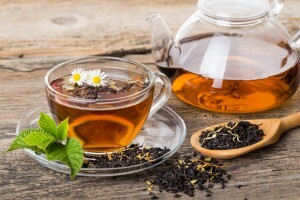 Tea leaves are highly absorbent and easily accommodate the fragrance and flavor of flowers. The process of aromatization involves layering an assortment of un-dried tea leaves (called a dhool) with scented flowers until the tea leaves absorb the essence of the flowers. The process is repeated until the desired potency is attained. The perfume of the resulting scented tea depends on the type and quantity of flowers used and the period of aromatization. Most scented teas on the market are aromatized only once or twice. Scented tea is characterized by its strong, floral fragrance, and is believed to be useful in recovering from hangovers. Jasmine tea is the most popular variety of scented tea and is known for its many health-giving benefits. Rose tea and Pearl Orchid are other examples of popular scented teas. We always been told that tea is good for health. It can lose weight, prevent cancer, lower cholesterol, prevent kidney ailment, natural skin care and many many more. But how? What contribute so much to tea? We are more health cautious nowadays. Many books and articles had been published on chinese tea and health benefits issue. Clearly, chinese tea is the best natural drink for a healthy life-style. 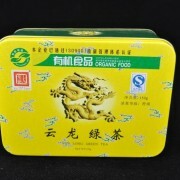 It is because chinese tea itself contained numerous number of components that a human body can benefit from. In general, chinese tea contain natural essential oil that gives tea its aroma, is actually a substance that will help ease digestion, reduce stress and reduce fat. A small amount of caffeine which has proven to help promotes blood circulation. Chinese tea also contain fluoride, a calcium mineral that help reduce tooth decay. But most importantly, chinese tea is rich in antioxidants. Antioxidant like Polyphenol, Catechin, Theanine, Theobromine and many more. Polyphenol an anti-mutation factor that can help DNA to reproduce correctly. Epigallocatechin 3-gallate or EGCG is a kind of Catechin that help in reducing the risk of cancer. Theanine a type of amino asid, has been proven to reduce stress. Theobromine an alkaloid that can stimulates the heart, widen blood vessel and promote urination. The fact is, chinese tea drinking could simply give you a relieve on the problem cause by "free radical" around you everyday. (Free radical is the cause of cancerous cell, aging, poisoning and many others unforeseen hazards).